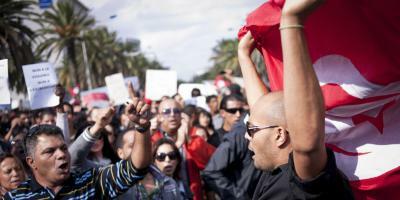 The success of Tunisia's constitutional reforms depends on good economic governance. As part of supporting the country through its democratic transition, IDLO is helping build the capacity of its magistrates and prosecutors to combat financial and economic crime. In September 2012, the Tunisian Government created the Pôle Judiciaire Financier, a first-instance court dedicated to investigating all cases falling under that category. IDLO has assisted examining magistrates and public prosecutors with investigating techniques and procedures, while drafting curricula for investigation and adjudication.We are also exploring mechanisms for involving Tunisian civil society organizations in the fight against financial crime and in whistleblowers’ protection.